2014 welcomes in APC’s 4th year! We are looking forward to another record breaking year. Go Ahead, Talk About Us! 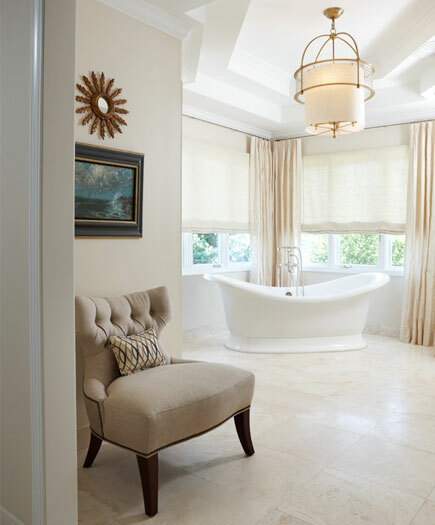 Lets start off this blog post by saying THANK YOU to all of our followers, without all of your love and attention these past few weeks would have been pretty dreary, especially with all that rain! So keep up the talk, we are loving the attention! 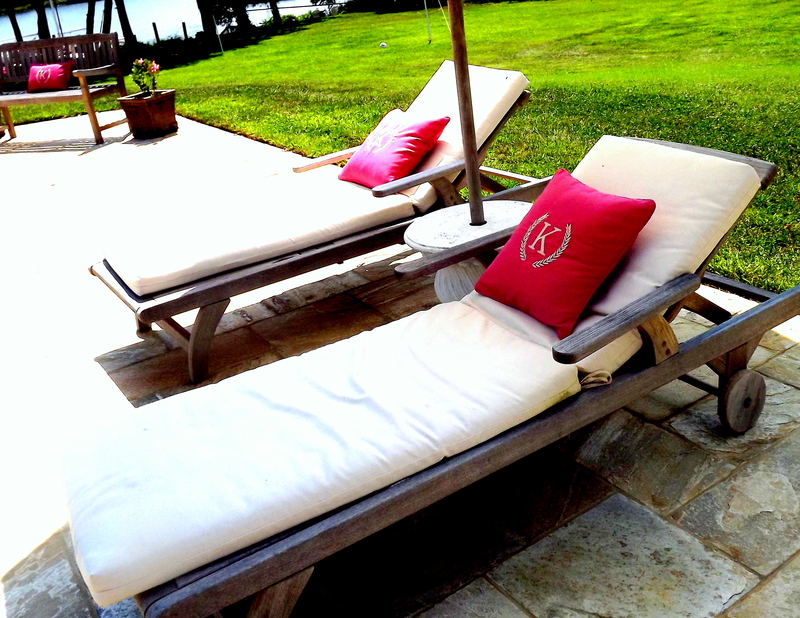 Here is a little of what APC has been working on this week…. 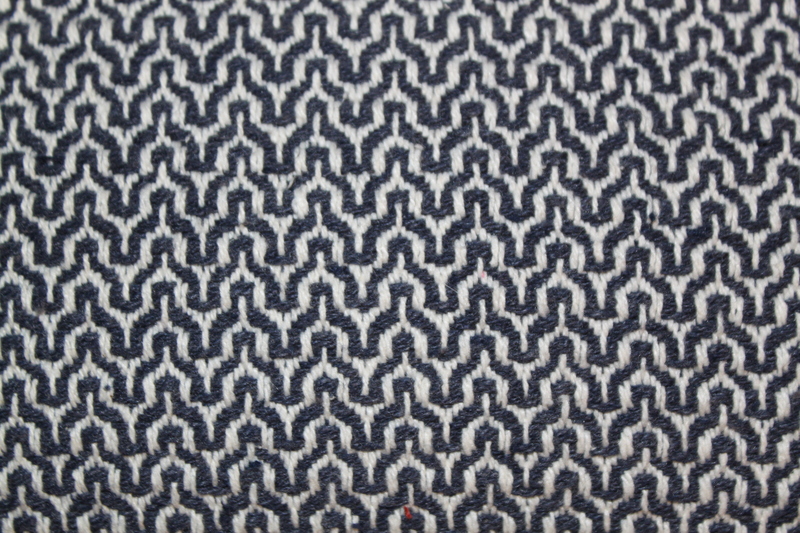 This newcomer to the fabric line has been coined “Wishbone.” It is a beautiful fabric with chic yet nautical characteristics, ideal for any style of home. 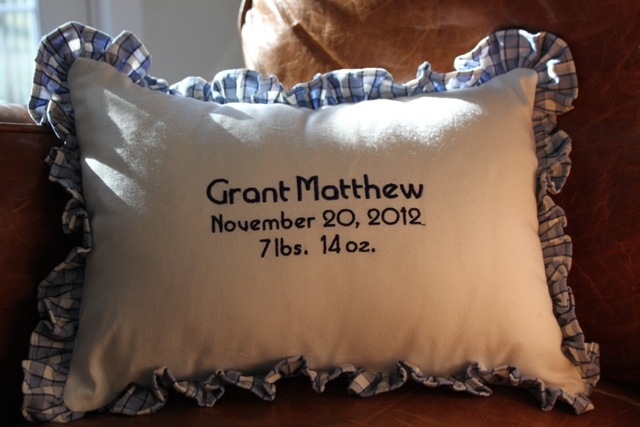 For the Pillow Addicts, This One Is For You. 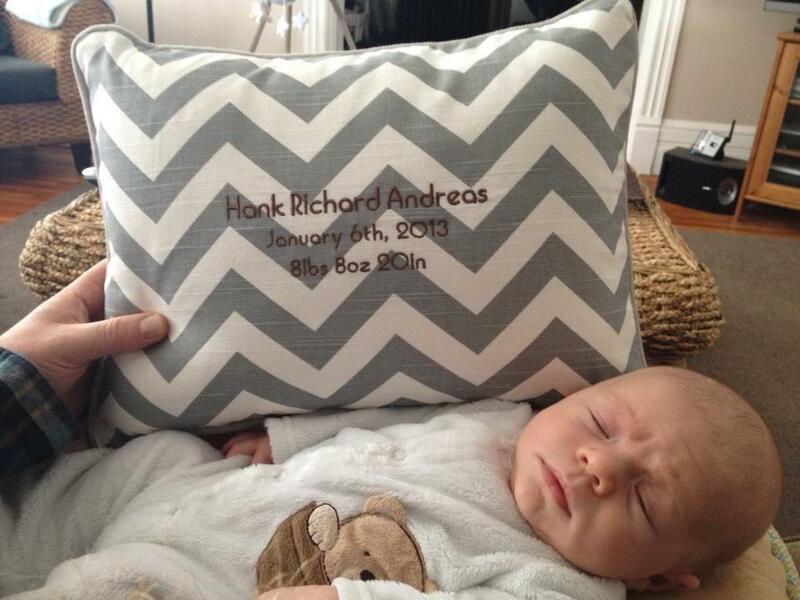 So lets state the obvious we are pillow addicts! 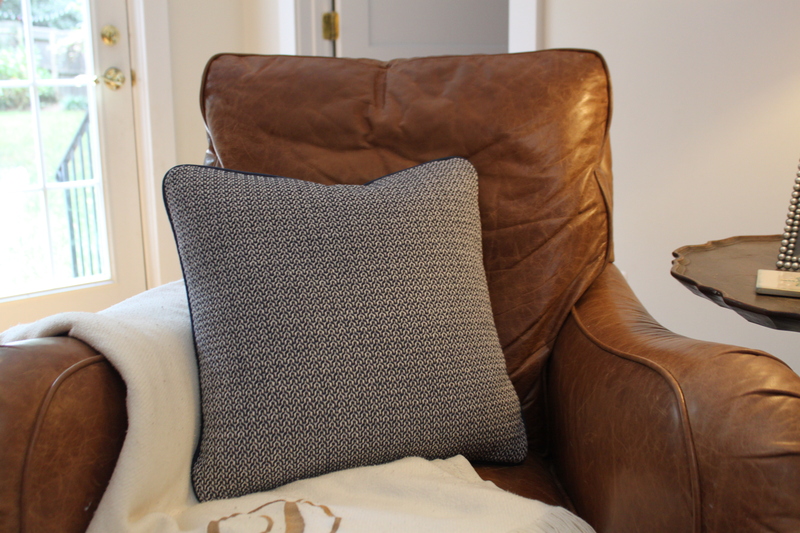 We admit it, we are addicted to pillows. 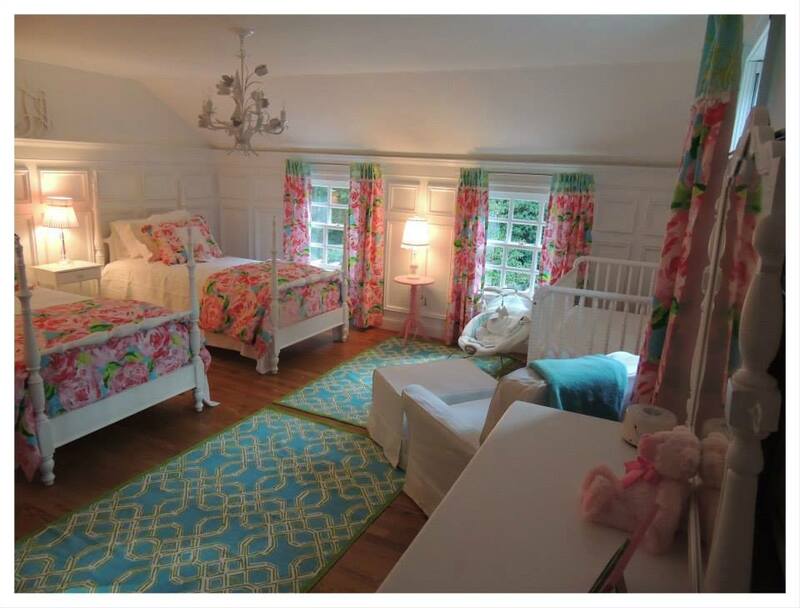 It is probably because they make any room more intriguing, they add a new look to your room without changing your furniture, they add a pop of color that makes any guest look twice, they can make you feel like you are at a resort without ever leaving your home…okay, okay, i have to stop myself. 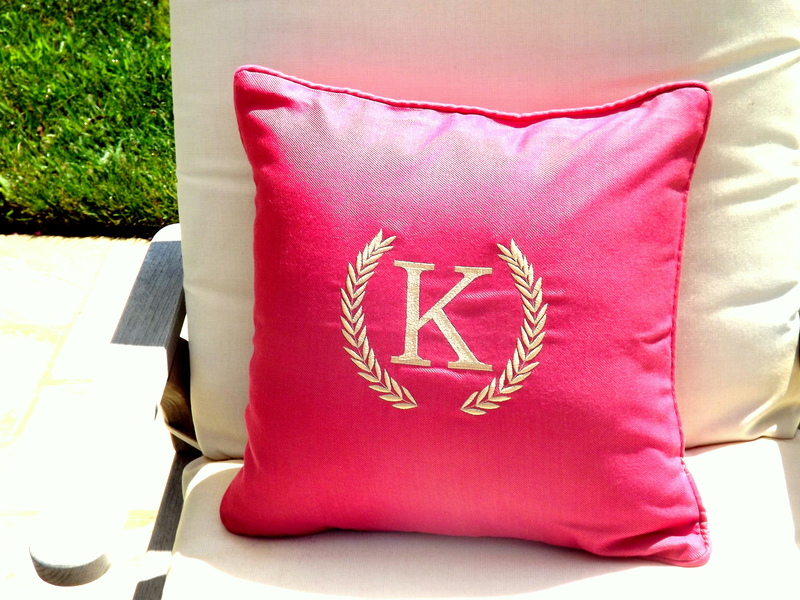 We all crave the best color, the new trend, and style for our home everyday, so why not do it with pillows? 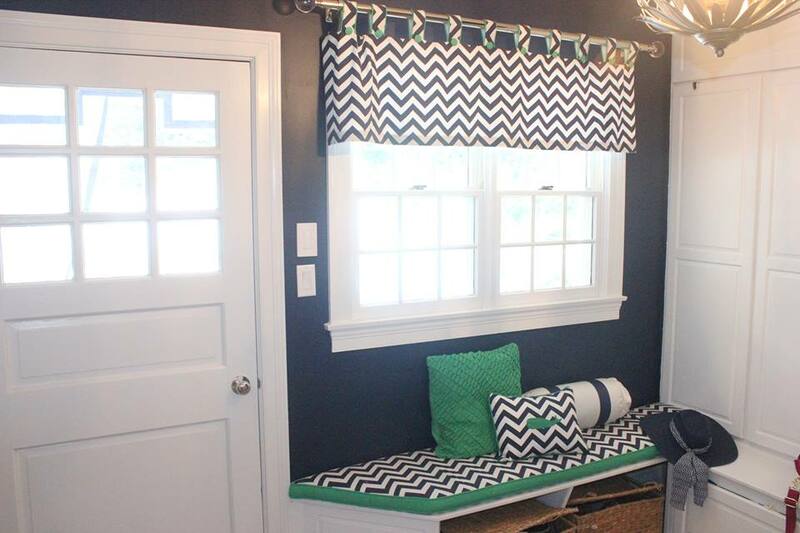 It is a MUST to have a coordinating pillow in your mudroom! Of course! 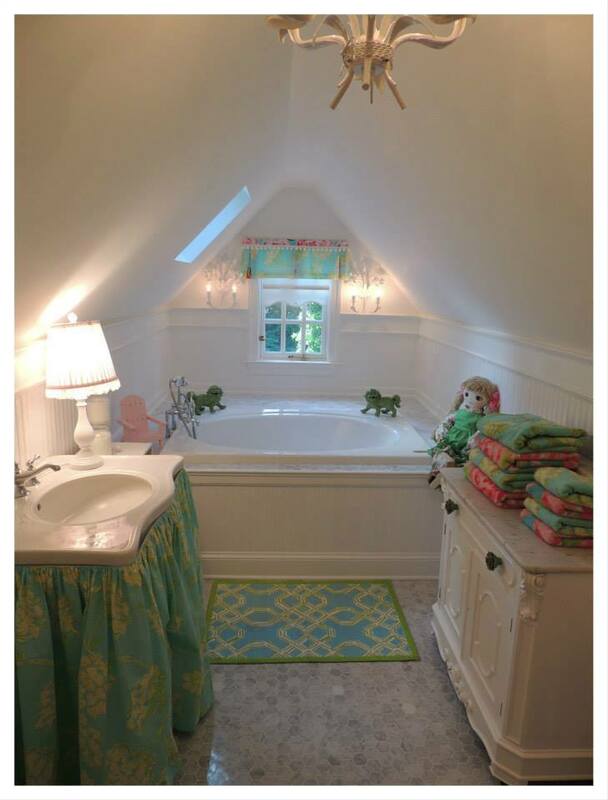 Why shouldn’t you have a pillow for your bathroom chair that you never sit in ?!?!? 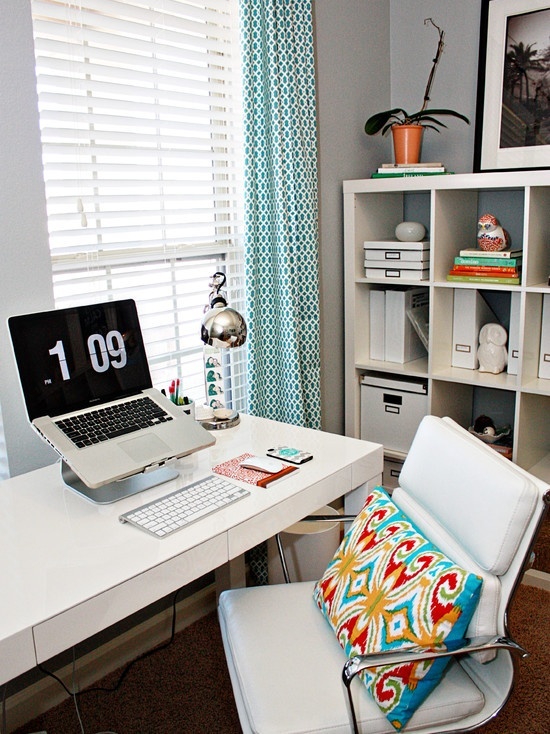 Why shouldn’t your desk chair adorn the cutest pillow in the house? 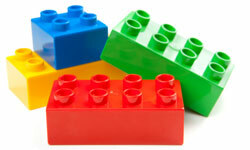 And for those who cant choose, its perfectly okay to have them all! 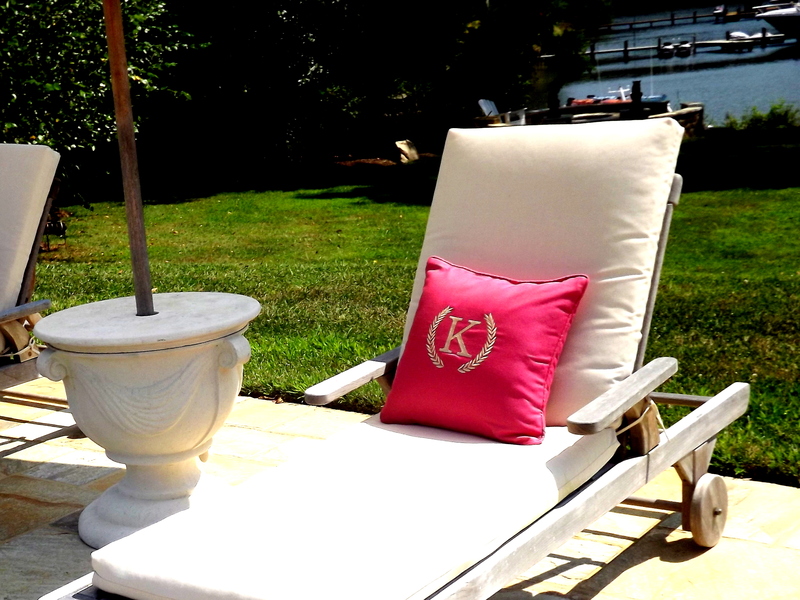 Take It Outside with Annapolis Pillow Co.
With the beginning of warm weather we all know parties will soon follow and for APC we had one idea in mind, outdoor pillows! 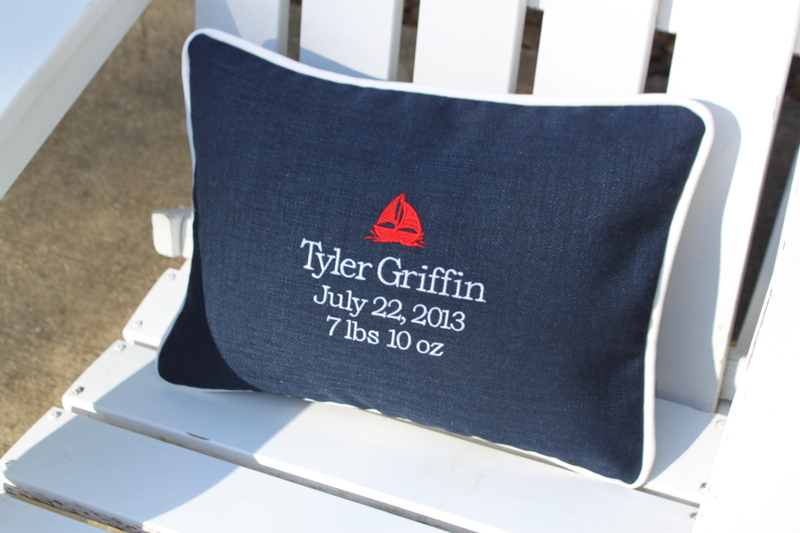 Last summer a client from Annapolis threw together an event and asked if we could make outdoor pillows for the special occasion. Our answer? Yes, of course! When will the event take place? One week! 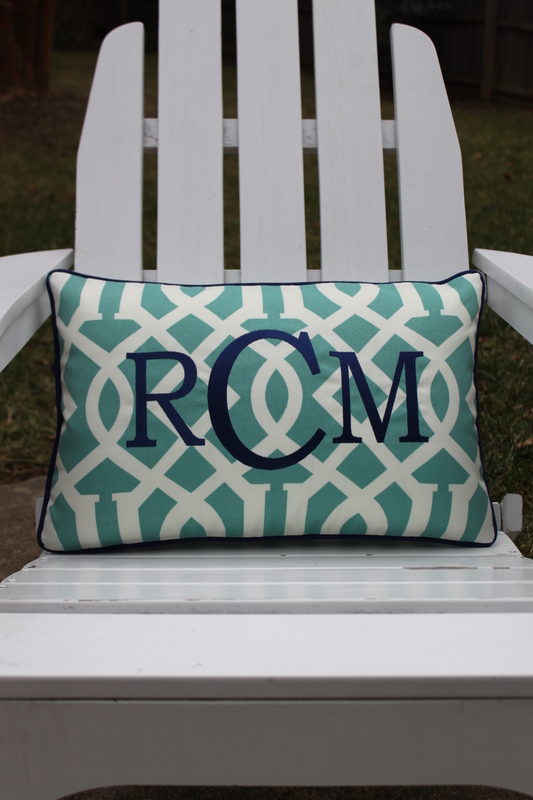 So with the help of Sunbrella and their gorgeous fabrics, the 10 custom outdoor pillows turned out just how we would imagine, perfect. 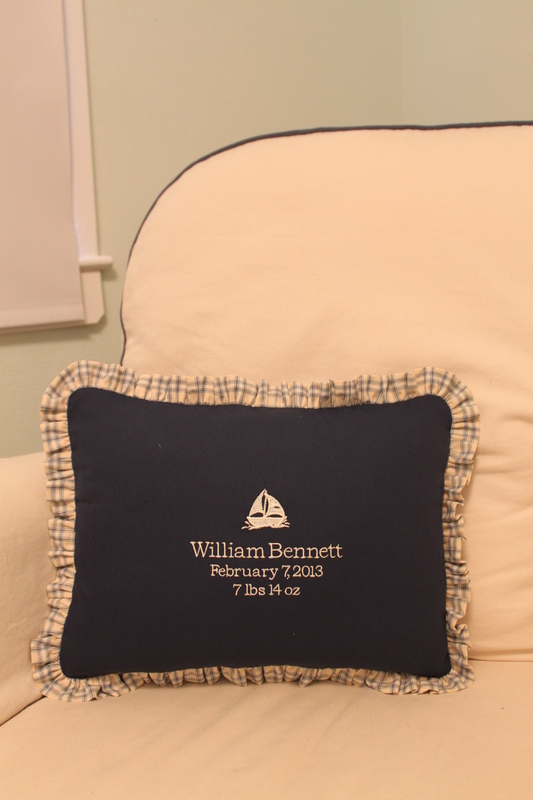 Dwell in Style with Annapolis Pillow Co.
As we mentioned in our last post, we have been very busy working with new and exciting projects. 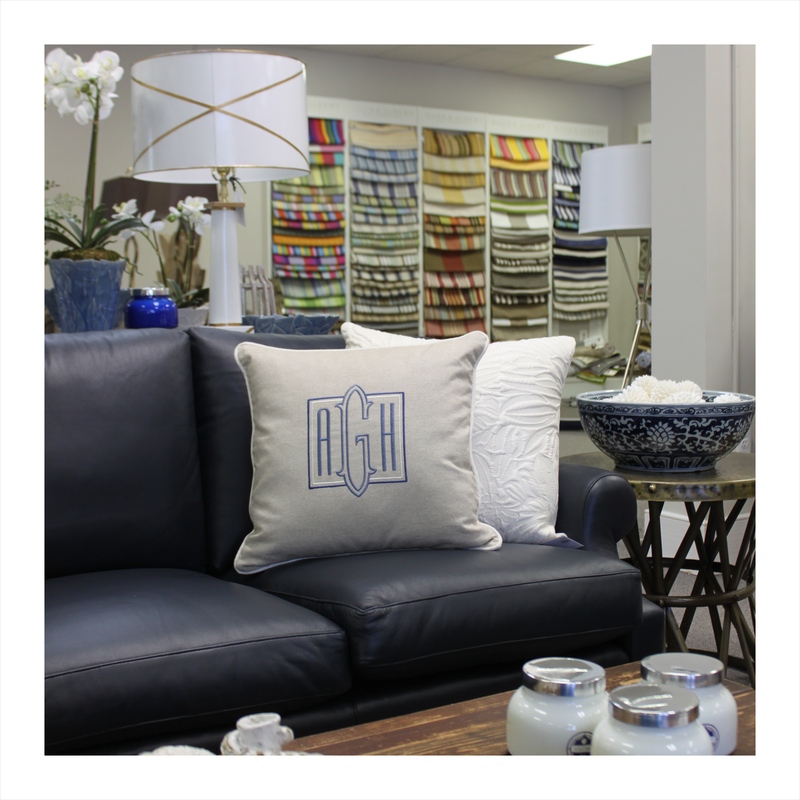 One that we are very excited to announce is APC will now be featured in a new home design showroom, Dwell At Home. 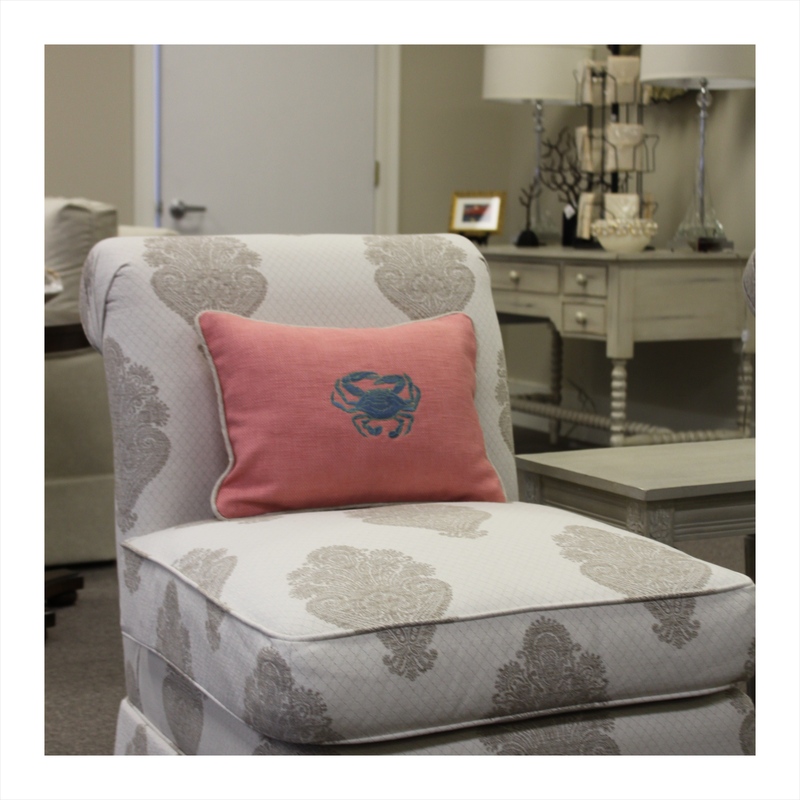 Dwell is a locally owned home furnishing boutique located in Annapolis! 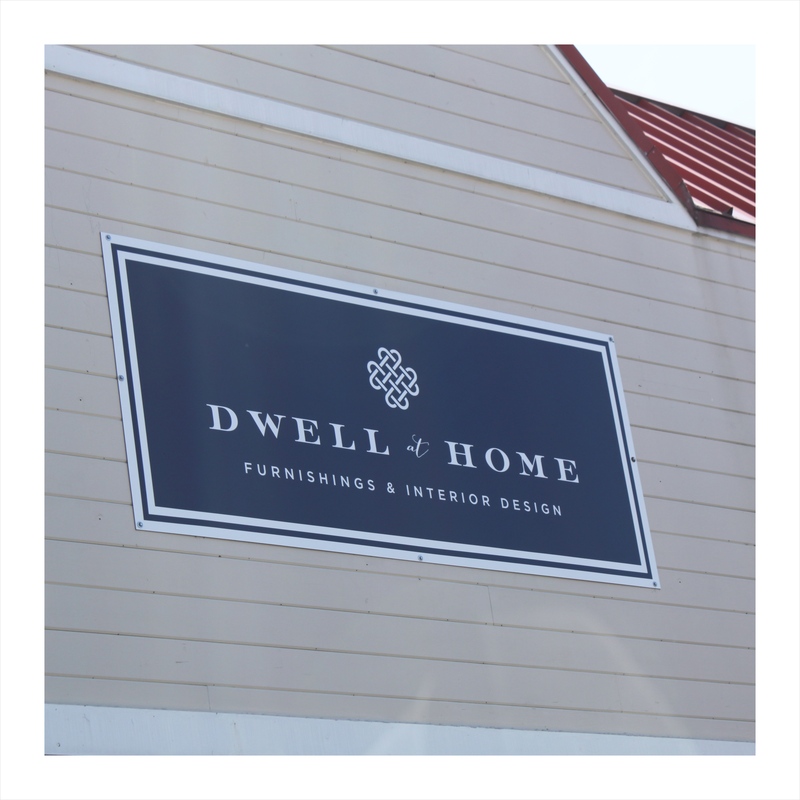 We are so thrilled that Dwell has opened their doors and let us join in on this wonderful new experience together. 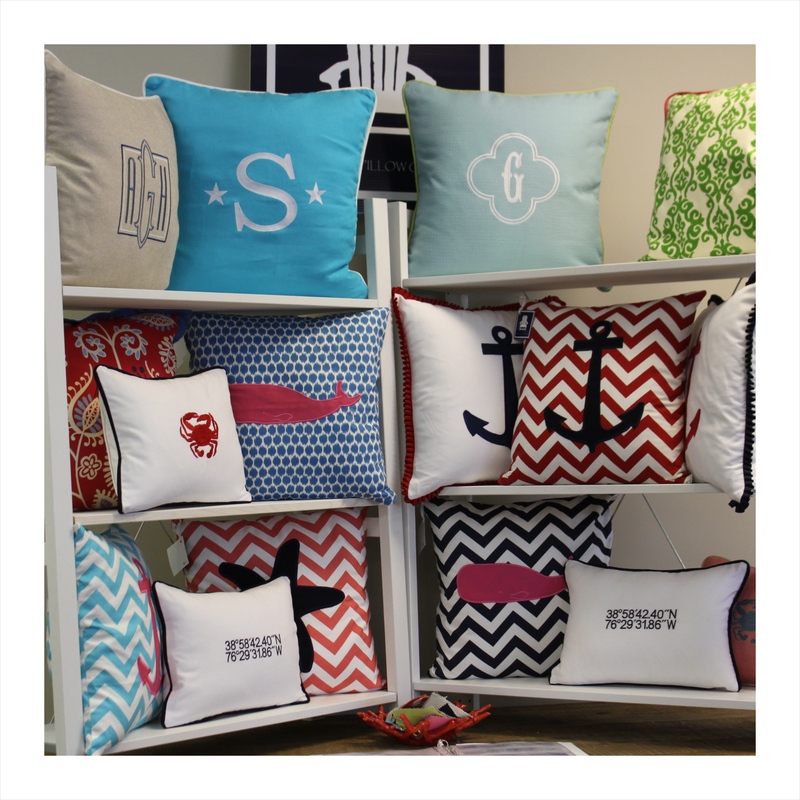 When visiting Dwell, you will be able to buy our pillows on the spot! 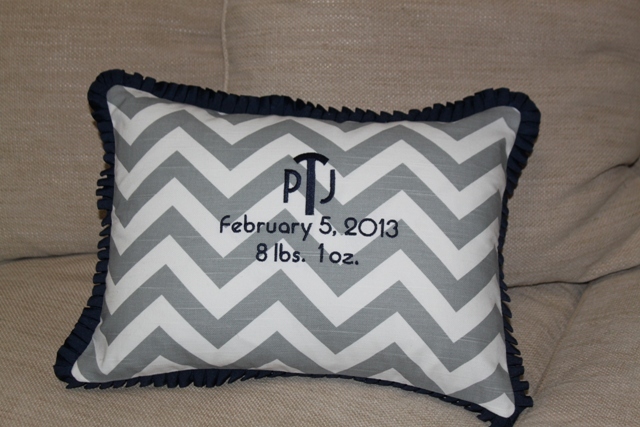 If you would like to design custom pillows, our product and sample book are available for you to search and create your new custom pillows right in the store! 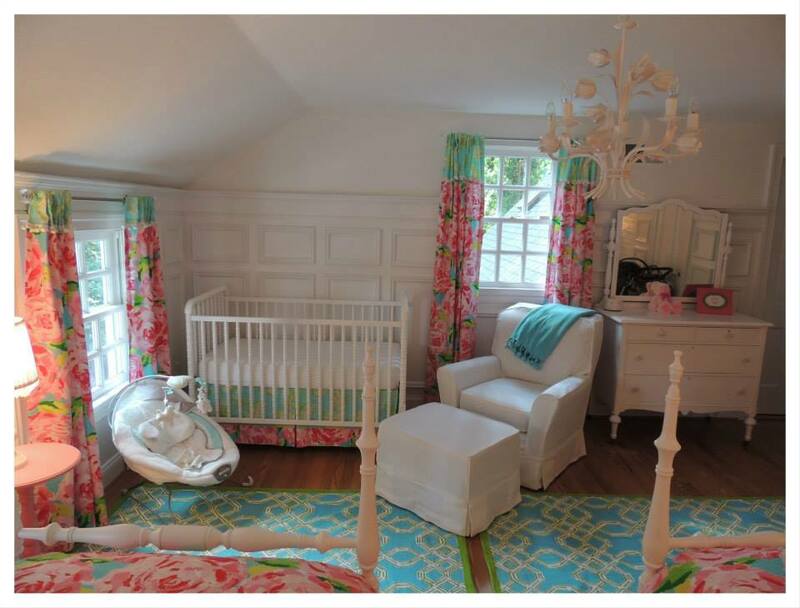 It is all too much for one Blog Post…but if you have to start anywhere, it should be with Lilly! 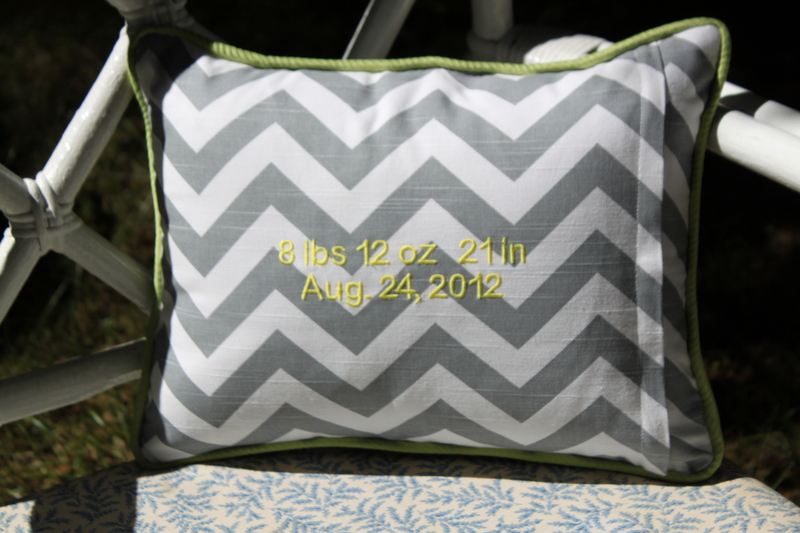 We are so excited to share our once in a lifetime custom project that kept us on our toes all summer. 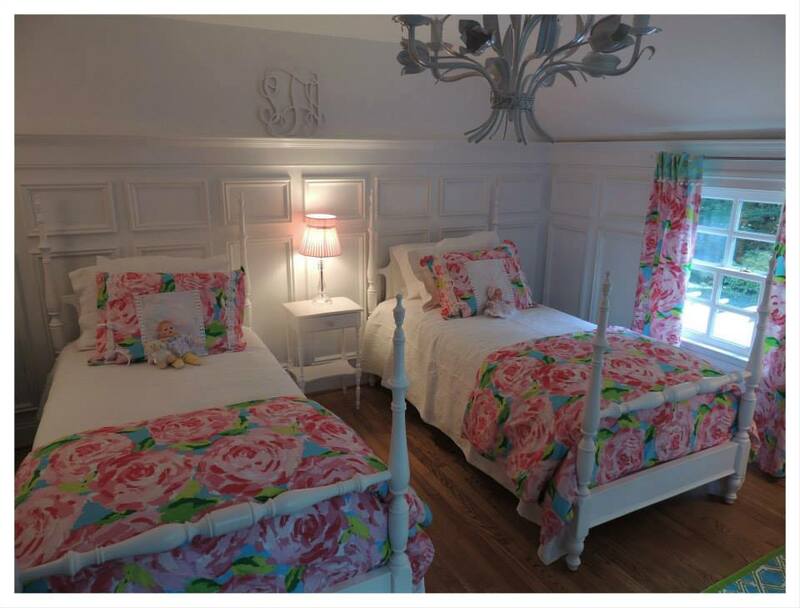 Thank you to Sara Thompson who opened her home and shared her vision with us so that this project could be stitched together to create the perfect nursery. I would be remiss if I didn’t specify this being our “very” special project, as Sara is my closest and dearest friend. 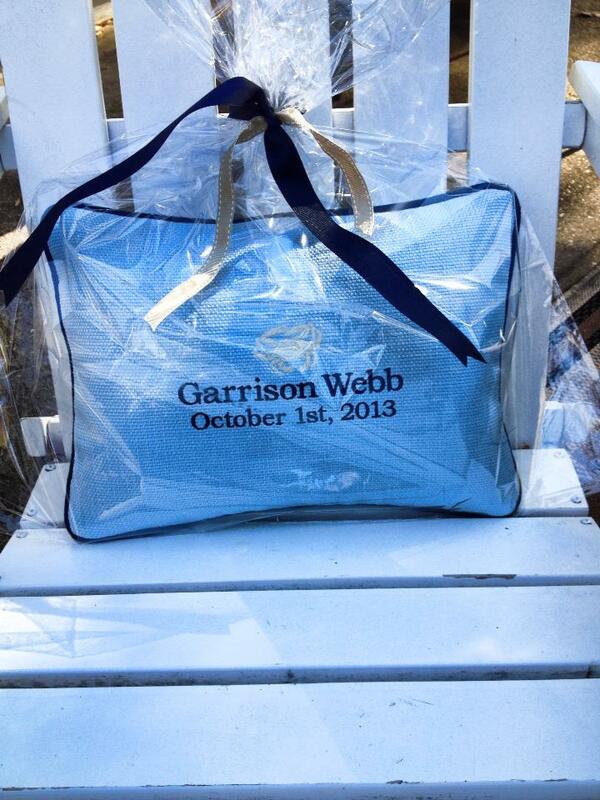 Sara and her husband Tucker are expecting their first Baby Girl. It goes without saying that we are all very excited about it!! As mentioned before, APC is experiencing some seriously exciting times. We can’t wait to share it all with you. Check back daily to follow along with where we have been and our journey forward. That sounds very official doesn’t it?!?! Actually it sounds AWESOME! 2. 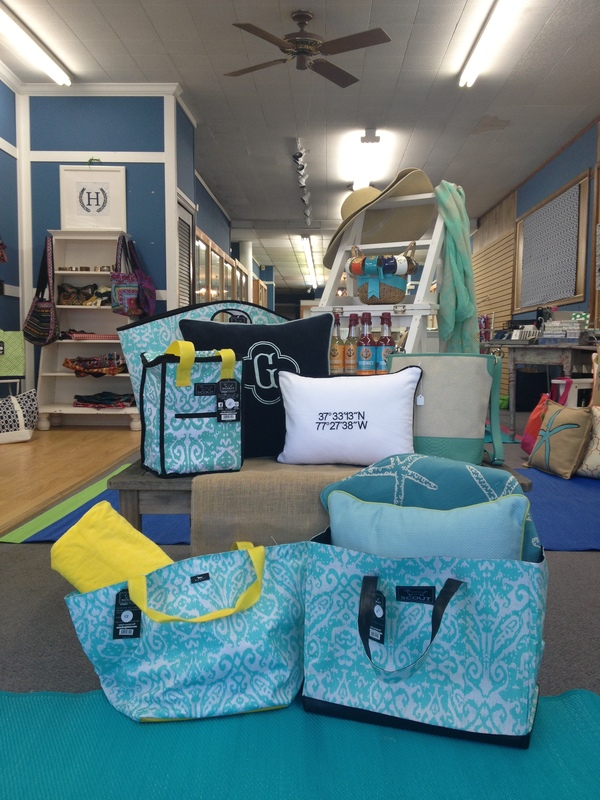 Come see our Pop-Up Shop…because it is Awesome! 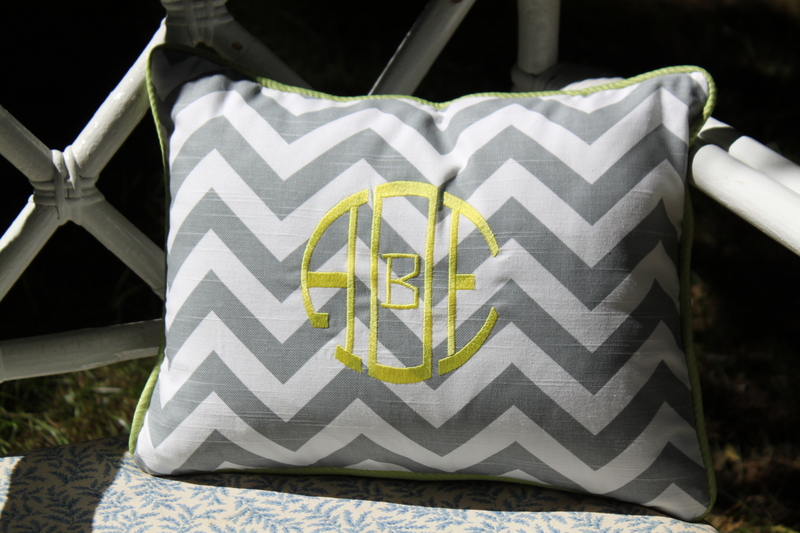 Get your Zig Zag on this Spring! 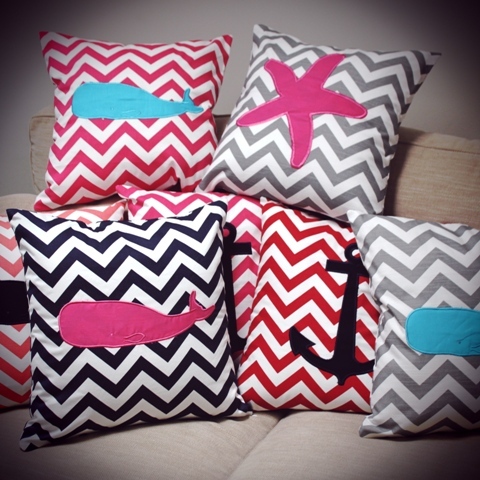 Who doesn’t love Chevron and a Pink Whale?!?! I mean seriously? 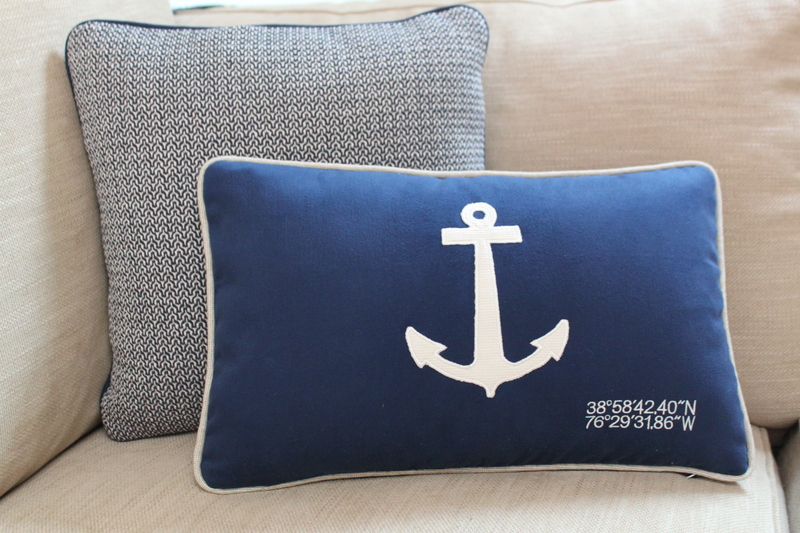 Annapolis Pillow Co. introduces our new Applique Collection. 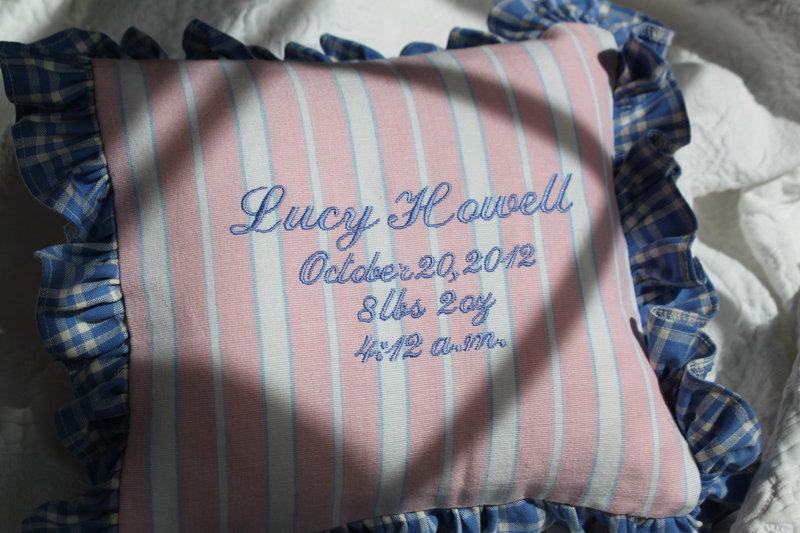 Available in Navy, Coral, Grey, Red and of course HOT PINK! 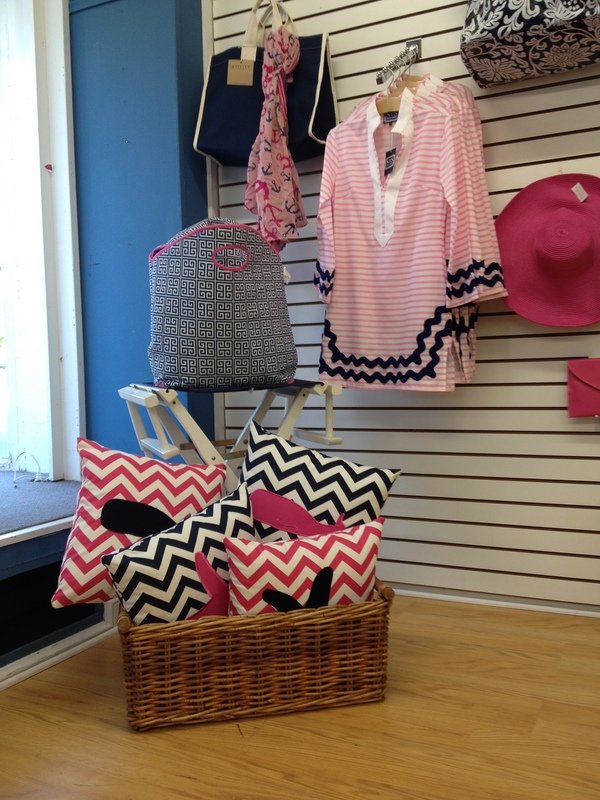 Get your zig zag on this Spring!! Star Monograms ~ Maryland Ave.